Manassas Transfer is a local family-owned and operated Northern Virginia moving company. We can fulfill any moving request regardless if it is local, out-of-state or international move. At Manassas Transfer, one of the hallmarks of our business is the relationships we have with our customers. A great amount of our business comes from repeat customers who know that when it comes the best movers in Northern Virginia, we will get the job done right. If you’re thinking “can a mover near me really make moving this easy?” The answer is yes…Manassas Transfer can. We’re among the best moving companies in Northern Virginia because we respect our customer’s time and commit ourselves to practicing the best customer service possible. We know you have a lot of options when it comes to hiring a moving company, and you want to hire the one that can fulfill all your moving requirements and one that will work around your schedule. We set ourselves apart by treating each move as a unique experience. We know that not every move is exactly alike. That is why when you book your move through us, you will be assigned a moving representative that will customize each moving plan to meet your exact needs. Our moving representatives are transparent and will provide you with accurate quotes and information. At Manassas Transfer we take pride in practicing exceptional customer service. As a fully-licensed, interstate agent for Stevens Worldwide Van Lines, we reap the many benefits that come with partnering with a national and an international industry leader. We offer international moving services to all our customers. When traveling around the world you need a company that has the resources and expertise in performing international moves. 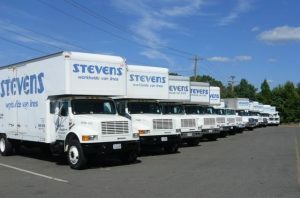 We are proud to be partnered with Stevens who has over 110 years of experience delivering world-class moving services. Here at Manassas Transfer, our goal for every move is to match the exceptional efforts put forth by the Stevens team every day. So, whether you are moving from Arlington to Gainsville, or Chantilly to Chicago, you can relax knowing that when you move with Manassas Transfer, you’re getting a dedicated and reliable mover, who is driven to ensure you get the best moving experience possible and support the National Breast Cancer Foundation at the same time. 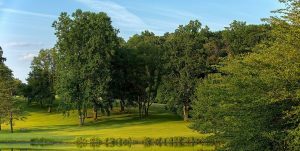 Our full-service moving company also offers a range of other services to help with your move to or from the Northern Virginia area. Our packing and unpacking services are available for when you don’t have the time to do the work yourself. Our professional movers know how to properly pack any items ensuring that no damage is done during transportation. If you wish to do the packing yourself, we can provide you with a variety of packing supplies. We have plenty of packing materials available including moving boxes, all at a small extra cost. Our storage options are also available if you are ever in the need for some extra space while moving. Whether you store your items short or long-term, your belongings will be safe in our government inspected and climate-controlled warehouse storage facility. Our professional crew works together to keep our storage facilities clean and secured. We will monitor your items until you are ready to have the shipped back to you. When it comes to our moving services, nothing is to big for us to handle. Our Northern Virginia movers are trained to haul any object you may have. We offer a wide variety of specialty moving services to help move your larger items. When it comes to our specialty moving services, we go a step further offering to disassemble and reassemble your items for you. We stride to make your moving experience as stress-free and as easy as possible. Manassas Transfer is proud to serve the residents and businesses in the Northern Virginia area. We offer a wide range of services that can accommodate to any of your moving needs. So, regardless of whether it is a residential or commercial move, we have the supplies and trained professionals you need to make your transition smooth and stress-free. So, for your next local move or long-distance move, choose the professional moving company that trusted by residents and businesses in the Northern Virginia area. We offer free moving quotes to all customers. Fill out our online form today to begin your next move.